Saving, investing and making money with technology. It takes a considerable amount of work to set up a website if you are a small company. While large brands have the luxury of employing highly reputable website design and development agencies, and staff to deal with the website as a whole; as a small business, your website might be something you have tackled yourself, or you might have enlisted help from a fellow small business. A website is something which must be regularly updated to help increase website traffic and sales. Many small businesses make the steps to get their business online, but fail to progress the website to a level where it can reach its full potential. You might sell incredible products, but your website could be letting you down simply due to poor design and layout. It is a good idea once your website is live to monitor it and assess how it is achieving. Initially before guessing why your visitors might not be spending their money on your site, it is worth identifying which areas of the site might be letting you down, if you guess, you could be ploughing time, money and effort, making changes on aspects of the site which might not be the problem at all. To test your website there are a few things you can do. Firstly ask friends and family, if you are on a tight budget, gaining the opinions of as many people as possible can help you identify any problems without costing you any money. It is important to remember that you will gain lots of varied opinions, and some suggestions might not be the best for your business. Gather the information you receive and then identify if there are any changes which might be needed and if any of the suggestions are made more than once by different people. Perhaps your font colour or size is difficult to read, there are spelling mistakes, or perhaps a layout you have chosen needs tweaking so it’s easier to navigate. Sometimes friends and family won’t be as honest as a stranger for fear of offending you; however it is a good starting point to begin to identify any problems. Professional user testers are affordable and are really worth the investment. You may feel your website looks good, but does it really perform well and help customers find certain products? Is it easy for customers to find your terms and conditions? A user tester can help you answer these vital questions. You can set your tester a variety of tasks, such as find a particular product and add it to the basket, identify what the company returns policy is, or find the nearest stockist etc, the user will film their screen and narrate their thoughts as they complete the tasks your have set. They might comment that they are finding a particular aspect of your site difficult, and will make suggestions to make it easier for others. Set up Google analytics for your website. There are several tools which can help you analyse your visitor’s behaviour on your website. You can identify which pages are the most popular, which are not, how long visitors are spending on certain pages and on the site in general, and where your website traffic is coming from. You can also set up Goals and Funnels within your analytics account. This feature will inform you how successful your website is at achieving its function. For example, you might want to analyse how many people add items to their shopping basket and progress through the checkout system. 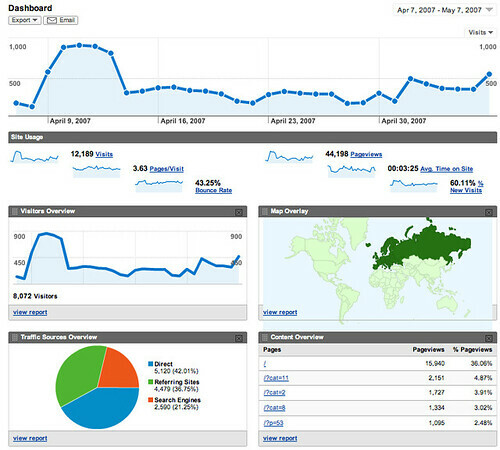 By setting up a Goal for this, you can analyse at what points you are losing visitors, and how many. If the results indicate a great percentage drop off from the homepage, you need to address your homepage design, this applies to other pages which are losing visitors. You will have to make changes over time, even if you feel your site is the best it can be. Fresh content, images, and general changes encourage visitors to return to find out what’s new, just as a shop would change its display. Be confident enough to try new things, and if you see your sales decline, try something else and move on. However make sure you maintain you brand with changes so returning visitors don’t feel alienated by too many changes at once. Your changes must be subtle such as new images, new products, news, a new homepage design from time to time etc. About the author: Kirsten works for WhoIsHostingThis.com, a hosting review and rating site which helps new businesses find reliable hosting to support their online business. Did You Enjoy This Article? Subscribe to our RSS Feed! If you enjoyed this content, you can get automatic updates by subscribing to our RSS Feed. For those of you familiar with RSS you can follow Riches Corner via our RSS feed. Simply enter your email below and you’ll get one daily email notification of the posts published on Riches Corner that day. This article was submitted by a guest blogger. Guest blogging provides an avenue to share a variety of different points of view with a broad audience. It is a good way to share cumulative knowledge as well as introducing readers to a new author. Learn more about how to become a contributor for Riches Corner.